Pigs in a Blanket is simply a fun way to serve pancakes and sausages. It could be a fun Father’s Day breakfast or a simple weekend tradition. If you don’t have a pancake griddle you need one, it can be used for many things but for making pancakes it shines. There seems to be a readily available supply of gluten free sausages so then it’s all about the pancakes. Do you have a pancake recipe you love? If not then create a breakfast table discussion about the perfect pancake. Should it be thick and fluffy or thin and crepe-like? Should it be grainy with a bit of chew or white and smooth like you remember them as a child? There is no right answer but this question could inspire you to have a little weekend fun trying recipes and enjoying a homemade breakfast together. If you have read a few of my posts you may know that I don’t buy mixes. For me a store bought mix includes ingredients I already have in my kitchen so only complicates my already full pantry. If you have a pancake mix that works for everyone in your house that’s great news. Enjoy it. If not, let the pancake search continue. You may need to buy a few new flours, you may need to try a few recipes. Once you decide what kind of pancakes you want it gets easier. I’m pretty sure you can find your perfect pancake in less than ten recipes. In my opinion, all that effort will be worth it for years to come. Years of flipping flapjacks, family breakfasts, pigs in a blanket, pancake eating contests and perhaps a very tall, layered pancake cake. I made this recipe using my own gluten free flour mix and did a little recipe testing at the same time. Here’s how. I think this is an easy straightforward way to learn to use different flours and become a little more confident adjusting recipes. If you eat a gluten free diet or live with someone who does this is a life long skill that will serve you well. Not only for the times you are out of a certain flour but also so you can adjust your tried and true recipes as you learn more about gut health and all the gluten free flour options available. 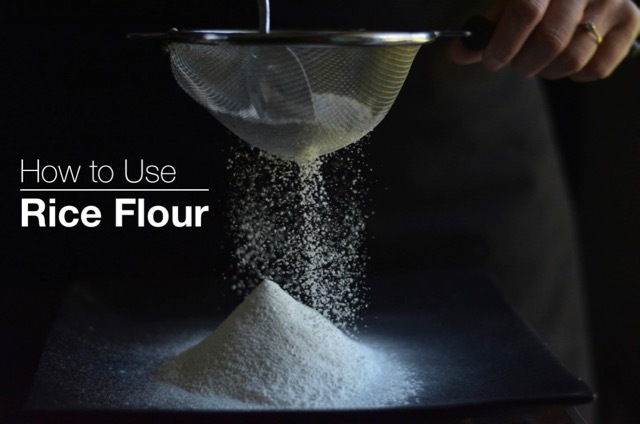 Follow my year-long blog post series on How to Use different gluten free flours for baking. Whether you make Pigs in a Blanket or simply stack your pancakes high, weekend breakfasts should be enjoyable for the whole family. Serve them with Canadian maple syrup or your favourite topping. I’d love to hear what flour you decided was right for your perfect pancakes. In a large bowl whisk dry ingredients together, set aside. In a 2-cup pyrex measuring cup combine buttermilk, egg and butter. Add wet ingredients to dry mixture and whisk until combined. Let batter rest for 5 minutes. Heat pancake griddle to 350°F. Lightly brush with vegetable oil. Using a ladle or liquid measuring cup pour ¼ cup batter onto the griddle. Cook first side until bubbles appear on the pancake and the bottom side is golden brown, 2-3 minutes. Flip pancake and cook second side until cooked, 1-2 minutes. Keep pancakes warm while cooking all the batter. PIGS IN A BLANKET - Wrap a pancake around each sausage and use a toothpick to secure the pig in the blanket. Serve with syrup. If pancakes are too small they won’t wrap. If pancakes are too thin the toothpick won’t hold them. For fluffier pancakes use buttermilk. For thin pancakes use regular milk. For a buttermilk replacement pour 1 Tbsp vinegar into a cup and add milk to measure 1 cup total. Let sit for 5-10 minutes before using.